Venetian plague mask. 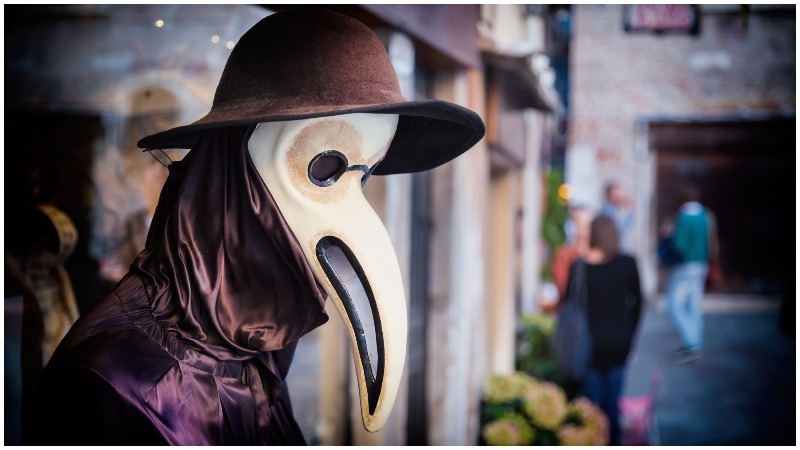 Worn by doctors when treating plague victims. Fashion trends come and go. Some become classics, like the Burberry trench coat, and some quickly fade into the pages of history. And others are just plain bizarre, and even unhealthy! Here is a short selection of trends through the ages. 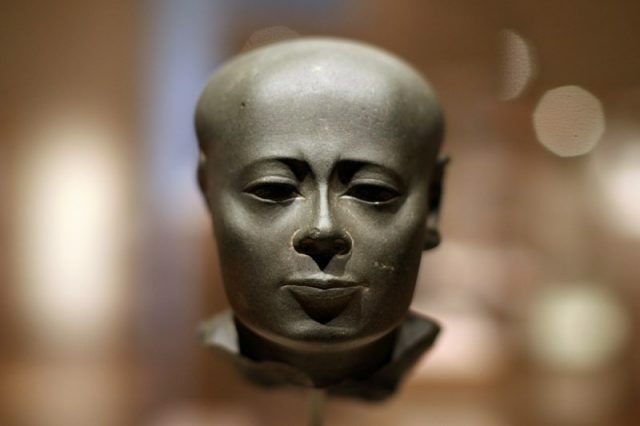 However, after shaving one’s head, men, women and even children in the ancient civilization would wear elaborate headdresses, often made of natural hair, wool or vegetable fibers, which were designed to keep one’s head cool, while making a fashion statement at the same time. 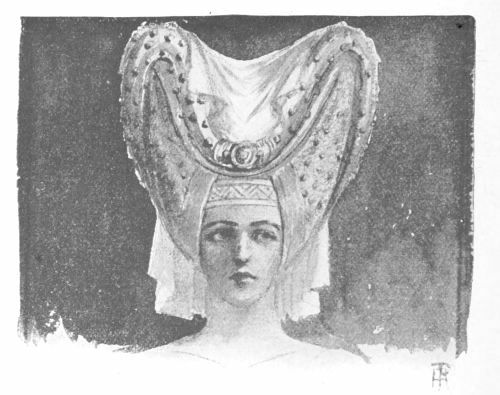 Wig styles varied from simple short “bobs” to elaborately curled and styled headpieces. 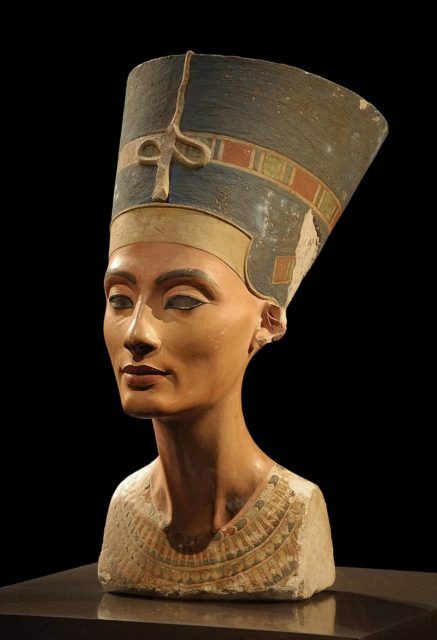 Scientific studies have shown that Egyptians were just as concerned about covering their greys as we are today, and used henna in their wigs from as early as 3400 BC. The story of Ye Xian reflected the admiration for small feet in ancient China. 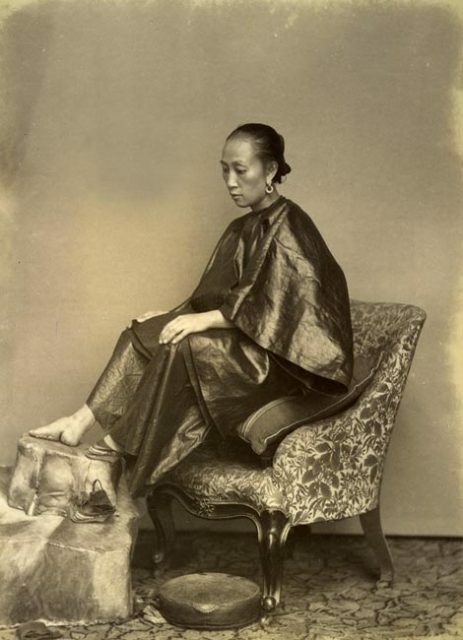 Foot binding later became a common practice to prevent feet from growing. This tradition was seen as a status symbol and a form of beauty. Unsurprisingly however, it not only limited the ability of women to walk, but also led to lifelong disabilities. It is thought that the practice began among the upper class court dancers in 10th century China. Tuanshan, Yunnan,China – October 25, 2010: The lotus feet (binding feet) of a 90 years old woman in the village Tuanchan in Yunnan. By the 19th century, almost all upper class women had their feet bound, although the forms that it took varied throughout the country. The most common issue that arose as a result of foot binding was infection, including in the bones, resulting in toes literally dropping off. The custom was banned in 1912. 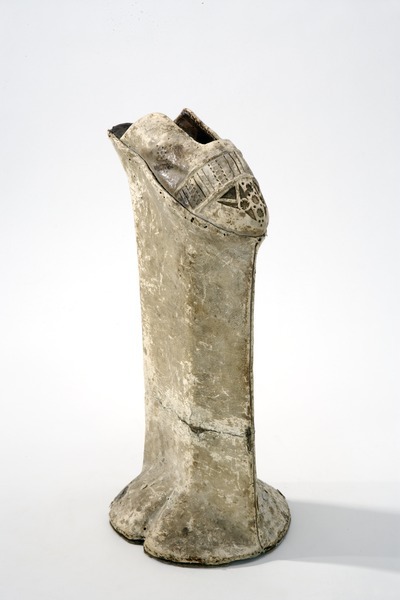 Chopines were a form of women’s footwear that resembled a platform shoe, but more extreme. They were popular in the 15th to 17th centuries, particularly in Venice, Italy. They were practical in the often-wet streets of Venice as the tide rolled in, and their height became a symbolic reference to one’s own social status. 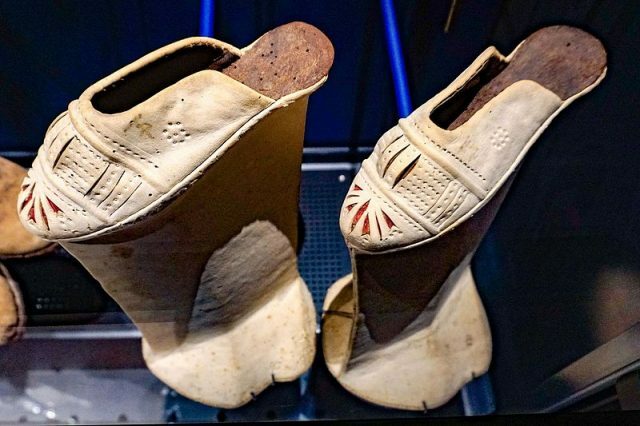 Although a law was introduced in 1430 limiting the height of chopines to 3 inches, this was mostly ignored, and some examples that have been found are over 20 inches in height. With her fair skin and ruby lips, Queen Elizabeth I set many fashion trends during her reign as monarch. In many of her portraits, her skin is very white – almost ghostly. And she appears to have an unusually high forehead. This was not natural, however. The ‘Darnley Portrait’ of Elizabeth I of England. During the Elizabethan era, women would often shave or pluck their hair from the natural hairline back, resulting in a very high forehead. Likewise, they plucked their brows to create a significant arch. 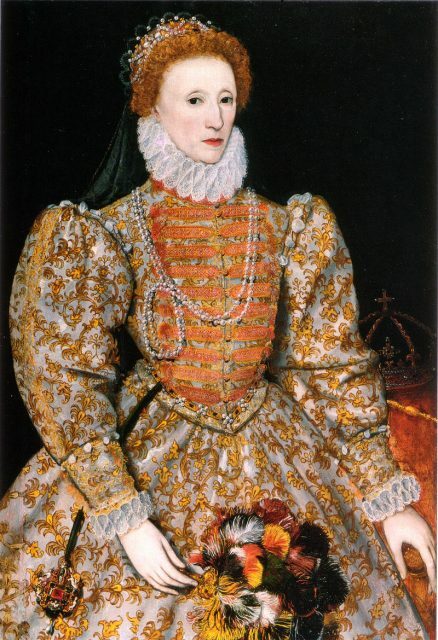 Ironically, later in her life Elizabeth I suffered from hair loss and had to wear a wig. Anyone who has looked at medieval imagery may have seen a woman wearing an interesting headdress. One of the more typical versions found in the Middle Ages was the hennin (also spelled henin). Hans Memling, Young woman in a conical hennin with black velvet lappets or brim and a sheer veil, from the Allegory of True Love, 1485–90. Shaped like a cone or church steeple, the headwear found fashion in the late medieval period among women in nobility, particularly in the English courts, Burgundy, Syria and Lebanon. 15th century – head dress of jeweled velvet and lawn. Originally, the headdresses differentiated men from women over a distance, as Mongolian men and women’s clothing was essentially the same. It is believed that Marco Polo brought the trend back to Europe, and princess dressing was never the same again. Used to treat everything from cancer to skin care problems, arsenic was commonly used during the Victorian era, but sometimes with dire consequences. The desire for pale skin is nothing new. In Victorian times, however, the quest for the palest, even “consumptive” skin was poisoning those who used the products. 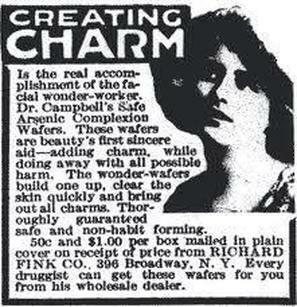 A popular product sold by Sears & Roebuck was called Dr. Rose’s Arsenic Complexion Wafers. They were small chalky wafers that were filled with arsenic. One would delicately nibble them, and they were advertised as “perfectly harmless.” In reality, arsenic is highly toxic. Long term exposure can result in kidney damage, conjunctivitis, hair loss, and vitiligo – the loss of pigment in the skin, thus making it paler. What is more, it is addictive. The price of beauty can be too high sometimes. The United States Radium factory had 3 facilities in the U.S. in the early 20th century that produced glow-in-the-dark watch faces, using radium. Female workers were contracted to paint the watches with the material, which they had been told was harmless. 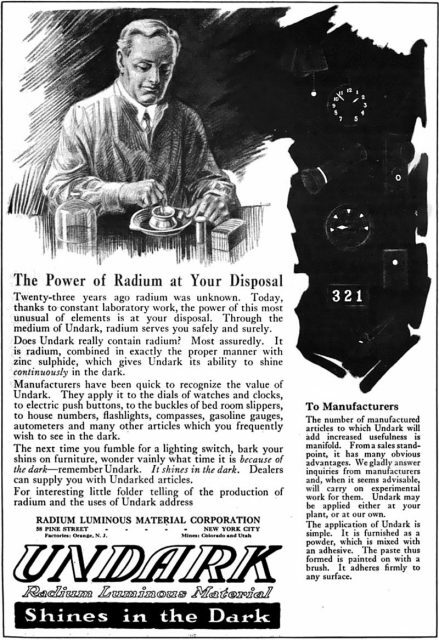 Undark radium girls advertisement 1921. As they were told that rinsing the brushes with water wasted too much time and powdered radium, they were instructed to “point” their brushes, meaning to wet them and give them a fine point, on their own lips. As a result, the women ingested deadly amounts of radium unknowingly. Maybe wanting a bit of fun, some also painted their fingernails, making them glow in the dark. In addition, a fine, shimmering radioactive dust would coat the women’s hair and clothing, which may have looked pretty, but was really deadly. Radium, when ingested, becomes incorporated into one’s bones, like calcium. Some of the Radium Girls developed symptoms by the early 1920s, and the first death occurred in 1922 when a worker’s lower jaw had become so brittle that it could simply be lifted out by her doctor. Five workers sued the company, and settled in their favor in 1928, becoming a milestone of occupational hazard law.